A little bit boring but here’s my blog today on my kitchen and the items I have . So I have a knife block which I always wanted one but they are normally so expensive I just stuck too random colourful knives in one of my draws which was like a finger trap every time I went in there . This block was from Asda and only cost £4 after Christmas ! So it was a bargain ! The next up is my stag container without the stag lid which contains straws and was £3 I believe in matalan . Followed by my super cheap containers from wilkos which can be used for anything and a brilliant for flour etc but cost from £3 so not bad and they look cute and they have a blackboard top … what more do you want ? So I went into home bargains which is amazing ! If you have not been in it it’s worth a look ( don’t grab a basket you will leave with a bag full ! ) . They also have an online website which does not have everything but some of their products on there . Now I did a bit of a bad thing for me I bought some cheap 99p make up and the reason why it’s bad is because those of you who remember know the last time I used cheap 99p make up ( mascara – w7) it caused me too become allergic too mascara haha ! But I did try again this time with lipstick and foundation. Now I used the Olivia hale make up and I bought a lipstick which I thought would wow . A rich purple ! ( lush colour !) . The packaging is not much different too maybeline however the product you can tell is cheap. The lipstick is hard too apply as the top is tiny . Probably best too use a lip brush but it’s still annoying and the product easily smudges … huge problem when all you had was a drink but it looks like you’ve kissed about 20 times ! Soo sadly what I thought would be my next make up sensation isn’t . I bought the Olivia Hale foundation and oh too the m g it’s great . It’s just like my mac make up , very similar colour and texture and is great for all over coverage . The top is in fact easier than most foundations as it’s a tube top . I really recommend this foundation and is the best cheap foundation . It out does my Poundland foundation . New belt from Asos is it worth £12? Posted on January 27, 2018 Categories advice, Fashion, My thoughts/opinions, reviewTags Asos, belt, blog, blogger, follow, girl, love, review, share, soapso, ukLeave a comment on New belt from Asos is it worth £12? I’ve just spent nearly £100 at new look on jeans … am I crazy ??? So today my order came from new look ( ordered two days ago ) it was a signed for delivery but I only paid £3 so I was pretty impressed especially as I didn’t want my beautiful jeans lost .. Imagine that ? Actually don’t it’s heartbreaking not just too me but my bank account . So today I’m going too talk through my top 5 jeans that I bought from new looks website . I am a uk size 10 in jeans tops is a different subject recently I fitted in size 10 kids .. yes that’s age 10!! I like new look jeans because I feel their jeans last and are super comfortable. I mean my mum bought me my skinny’s three years ago and they still haven’t lost their shape and my work black trousers never go out of shape ( all 6 of them are pretty good … there was a deal .. please don’t judge ! ) . So anyway ( back too the topic Soap please ) my top jeans for me was the Jenna skinny ankle grazer . It has embroiled flowers on it and it’s super warm and comfortable . They are kinda perfect for those days you wanna grab your vans and just go too the beach ( if you didn’t know I’m also a vans fan ! ) these jeans fit perfect and were £30 but honestly it is £30 not waisted ! I got my student discount so all the jeans went down from £101 too £81 and that works out £16 a pair . The second fav for me is the Hallie high waisted super skinny jeans . Now I love the feel of these jeans they are cosy and they feel like proper jeans not the normal trashy stuff you buy in cheap places . Unfortunately I made a small error by ordering tall when I’m a 5 ft 2 kinda girl ( yes I got basket happy and ended up not looking up the info .. I always go by the looks of the product AND forget too check the details . Anyone else suffer from this ?) . So anyway they are perfect for a tall girl otherwise you ended up with these like lumps of jeans at the bottom of your leg . I’m keeping mine for comfort reasons . They would of cost £22.99 and In terms of material and the way they fit they are sooooo worth it ! Next up is the Jenna skinny in black . Now these are ankle grazer style and have the cut bottoms which I kinda thought from the online pic but it was hard too gather . I love these ones they are just perfectomoi ( no idea if that’s a word .. do apologise if it’s a bad one too! ) . Now these are for more summer I’d suggest as the materials lighter and they feel all together more lighter .. put it this way if you wore these in Iceland you would have hypothermia in 5 seconds . They would of been £15.99 and I can see why there is less detailing in them and they are much cheaper fabric but on the hand better than rival companies like Matalan’s materials for similar products . Last but not least is the Hallie highwaisted super skinny in black now these jeans are a nice material and are nice once you have done the dance too get them on. The bottoms for me are a nightmare too get your feet through and the top button digs in however they have got a wow factor once you are wearing them . Just be prepared for the two minute dance too get them on . These were £19.99 . Posted on January 26, 2018 Categories advice, Fab Fridays, Fashion, My thoughts/opinions, reviewTags 2018, £100, bargain, blog, blogger, bundle, challenge, follow, friday, girl, haul, jeans, like, look, new, newlook, nice, pretty, review, share, student, uk, vans, wowLeave a comment on I’ve just spent nearly £100 at new look on jeans … am I crazy ??? Is the Tesco’s lamb casserole worth the money ? 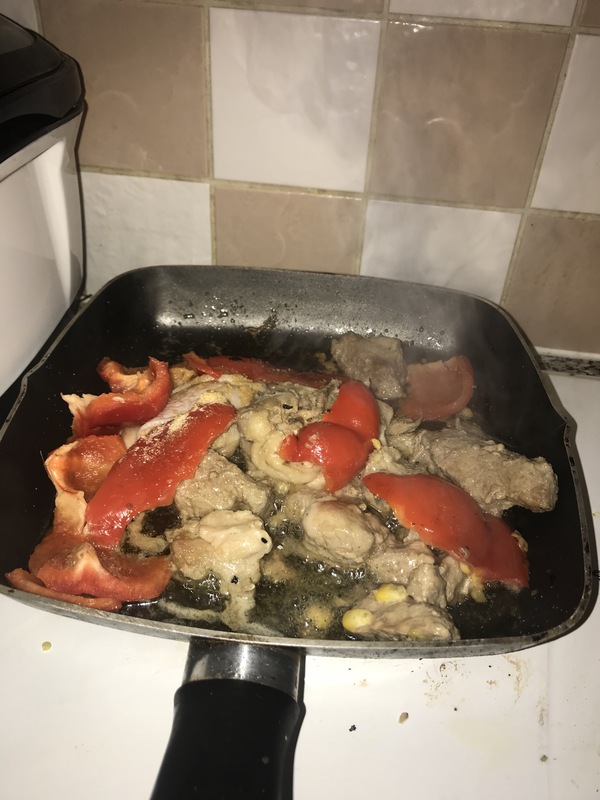 Posted on January 25, 2018 Categories advice, food, My thoughts/opinions, reviewTags 2018, bad, blog, blogger, don’t buy, girl, negative, no, review, sad, soapso, tesco, ukLeave a comment on Is the Tesco’s lamb casserole worth the money ? 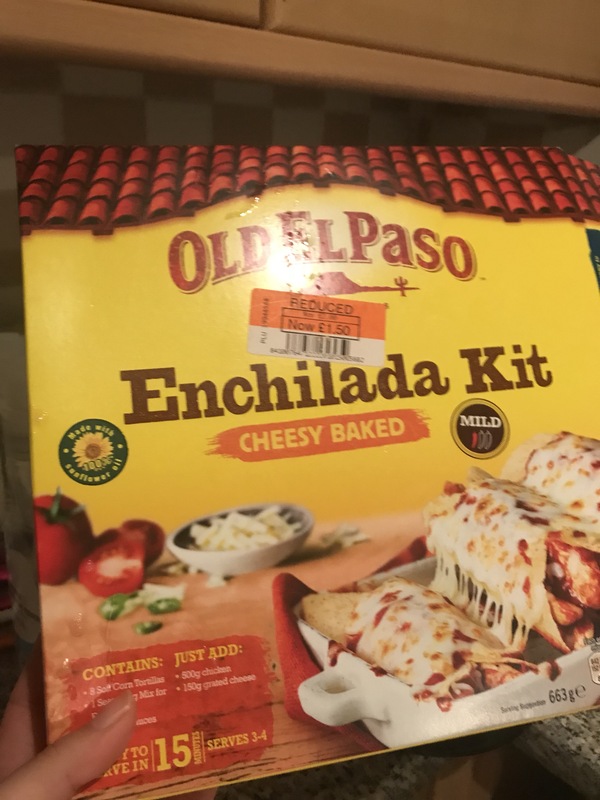 So tonight’s meal was enchiladas . I used a kit which cost £1.50 on offer in co op . It has 15 wraps in it so you can use any spares for other wraps/ meals so it’s a bargain really . I used a tiny bit of vegetable oil in a pan and pan fried some chicken and pork which I got reduced for £1 for both in Asda !! I used a pepper and some sweet corn which cost pence as it was in a multi packet and fried it all till done . 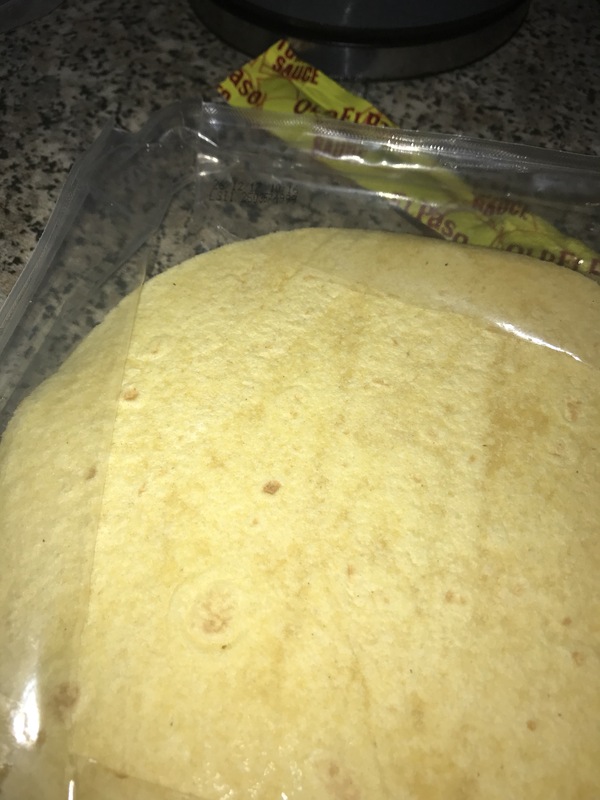 Then I put the wraps in the microwave for 50 seconds . I have baked them before but I find they crumble soooo I was not taking that chance . 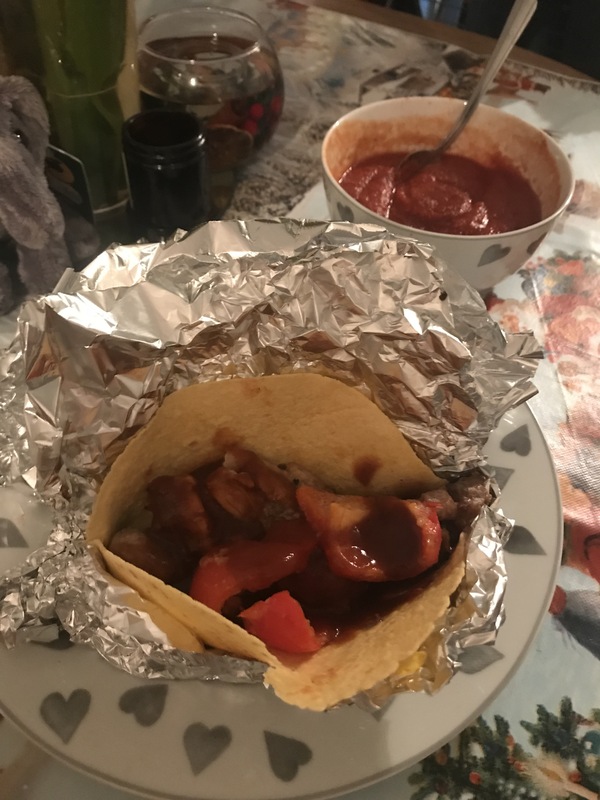 I put foil around each enchilada wrap and placed all the pan fried bits in the enchilada . I don’t like spicy food at all … like for me there’s nothing worse than my eyes crying over a bit of spice . So I had French’s Kansas City classic bbq which is my fav bbq as it has a bit of a kick . 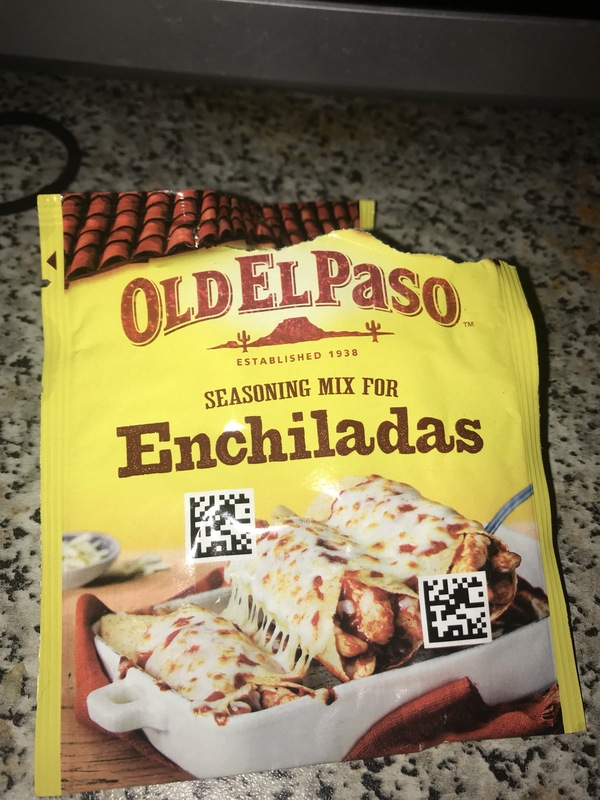 For George I gave him the enchilada mix which was pretty easy too make but I would say wasn’t mild like the box says more hot than mild . 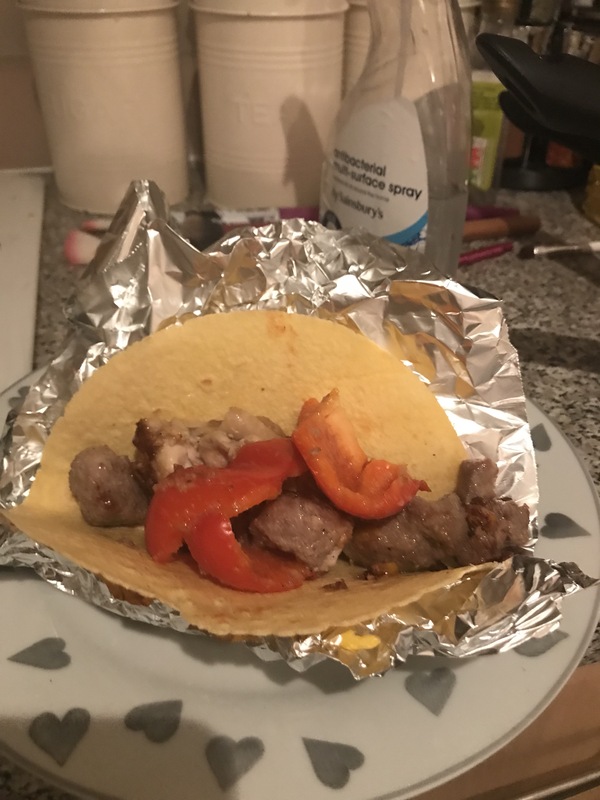 This was a super easy meal and it didn’t cost much in total probably £2.50 but it filled us up and tasted great . For me it was a 10/10 !! If you know me you know that I love animals and Radley too. Radley is a brand from the uk which offers luxury items all with a little scotty dog either on or in them (not a literal dog… I wish! ).For my 21st my 2nd oldest but not oldest sister … I made that complex… one of my sisters bought me a Radley watch. I have never ever bought a Radley watch but oh my goodness its amazing. The dial is easy too read, the watch is lightweight and just like all Radley watches it comes with the little scotty dog attached too it. This watch is nearly £60 but honestly its a necessity. You can wear it with anything. Tell me what Radley products you have and love.